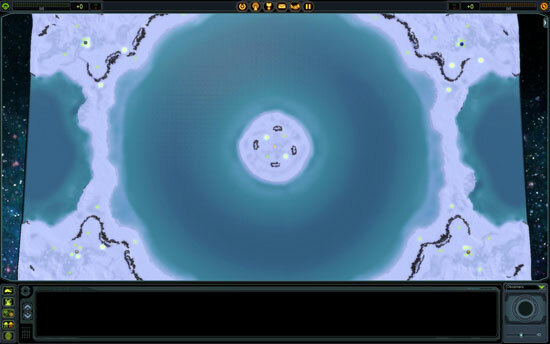 Supreme Commander is a popular RTS (Real Time Strategy) title that can be very CPU dependent. Our benchmark involves playing back, as fast as possible, a 4-person match and recording the simulation time for the replay in seconds. We ran Supreme Commander at 1920 x 1200 with High fidelity presets, v-sync was disabled. Here's one area where AMD needs pure clock speed to keep up, even the old X2 6400+ is able to outperform the latest Phenom processors. 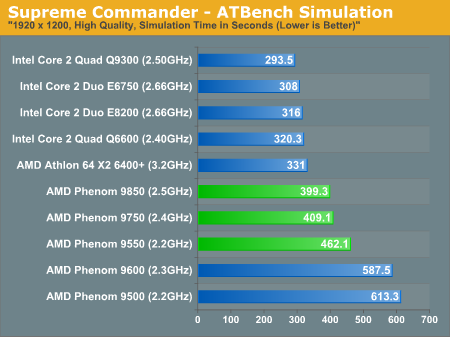 As long as you have two cores you're golden in Supreme Commander, but AMD's K8 and Phenom architectures are clearly slower under Supreme Commander. 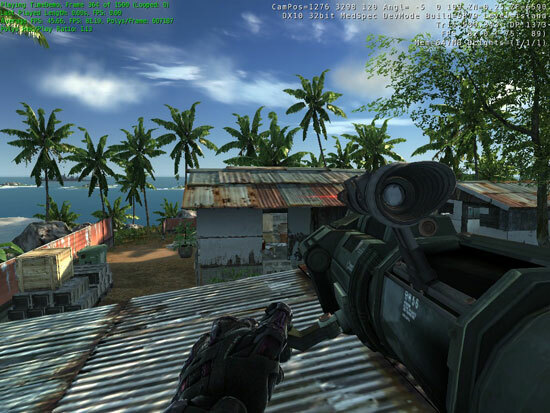 The most demanding FPS on the market right now is Crysis, and we couldn't resist using it as a benchmark. We ran at 1024 x 768 with Medium Quality defaults and used the game's built in CPU benchmark. More than anything you're going to be GPU limited with Crysis, but in terms of how well these CPUs handle the workload given to them by the game - Intel continues to take the cake here. 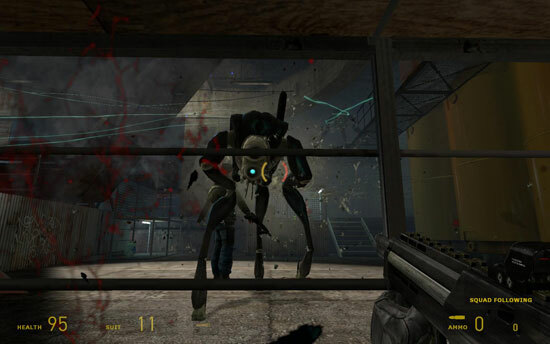 Half Life 2 is obviously more CPU limited these days, and we continue to see that Intel is ahead of the pack when it comes to pure CPU gaming performance. can we call this fair comparison since AMD side using only DDR2 800 Mhz and Intel side using DDR3? can that things makes any differences in benchmarking? Consider the power usage of the 9850 compared to the Q9300. If you get the 9850 for free and pay full price for a q9300, then you leave both systems running for an x amount of time, the 9850 will then after a x period of time be more expensive (considering expensive power bills). When i saw the crysis bench and saw the 9500 only getting 27 fps I ran the same bench with my system which consists of Phenom 9500, hd 3850, k9a2 cf, and 2gb ddr 800. My results were 53.095 fps average, 70.70 max, and 34.24 min. It just goes to show you the only benchmarks you can trust are your own. 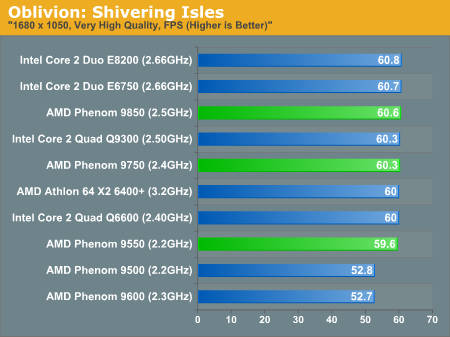 AMD can`t compete in the high end, there is no doubt about that. But I think their real purpose with this launch is improving their presence in the mainsteam. Since they can`t reach the clock speeds or instructions per clock of intel they use more cores. This approach does have it`s merit: in 4 threaded apps they are faster than intel`s dual cores in the price range. Of course they are much slower in 2 thread applications but this doesn`t tell the whole story: a core 2 8200 might be faster than a phenom 2,2 when running a 2 threaded benchmark, but don`t forget that the later still has 2 cores in reserve that can be used for other tasks. It`s something that can improve the users computing experience in real word situations. 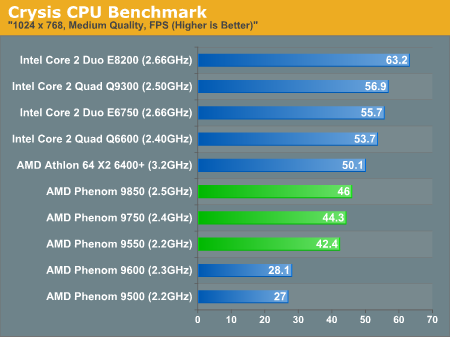 Of course if you can afford an intel quad core, by all means go for it, it is the better chip, but I think that up to the $200 price point the phenoms make good sense. Despite the lower power consumption the word I'v heard is that Intel's new 45nm Quads can't take extra voltage and consequently don't OC as well as the Q6600. Keep struggling for the Extremely Over priced parts, so that the average parts (AMD or Intel, whatever) keep coming cheaper and cheaper every day. After all, I'll get, let's say, 75% of your performance, but pay less than 50% what you paid. Sounds nice to me. Intel outdid itself, kind of shot too high I guess. Look at how Apple for instance hasn't released an iMac with the Q6600... if they did, it would completely mess up their line up and price points. Anyhow, AMD's "competition" is pretty lame, was I the only one to notice how far inferior the Phenom line is to the tried and true Q6600. Everybody knows it's basically a downclocked chip... can easily do 3.0ghz. The only reason Intel doesn't do that is that it doesn't fit in the market. 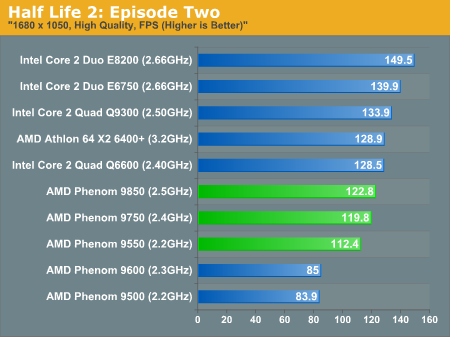 There is currently nothing in the horizon to handily beat a 3.0-3.2Ghz Intel Quad so they are showing very little interest in maxing themselves out. Dell should absolutely feel ripped off, so many years trying to carry both intel and AMD only to achieve that when AMD makes relatively junky chips. Anyone can plainly see (hindsight is 20/20) that purchasing a Q6600 the day it came out was the best value to be had in years (both before and after). I did not, but I finally have one (whole computer w/ Q6600 was $400) and I feel very confident that its performance will be relevant for a couple of years to come still. We are pampered to death these days... technically the Phenom is plenty but it's just not Intel-grade. Pentium 200 MMX for $380 anyone? Furious computing power is now more affordable than ever and with power envelopes (Intel-wise anyway) that will hopefully bring the form factors down even further. Even graphics cards are being re-corrected in terms of efficiency... they were runaway for a while there. The article is lame, it is utterly biased in its conclusion. The logic it tries to build around the fact that here is no speed improvment (" We get the impression that there are some speed paths that could be optimized on the current B2 and B3 Phenoms that simply aren't because of a very sensible thought process. AMD is still on track to begin shipping its first 45nm Phenom processors (Deneb core) by the end of this year and it doesn't make sense to waste time and resources respinning a 65nm Phenom, when presumably these clock speed issues are addressed at 45nm.") displays an absolute ignorance of the CPU design business. This stepping was an attempt to speed up the whole Phenom and improve yelds (and not only to correct the TLB bug). It does not at all deliver the speed bump (2.5% improvment ?). so let's claim that AMD did not try ... Ahahah. With the pressure from Intel and Wall Street and OEM, AMD can not afford to do yet another stepping to try to fix their technology and/or their design and/or their process, so AMD wil bet on 45nm to fix everything. Some other sentences just made me laugh "While we only had a few hours left over to test the overclocking stability of the 9850 it does look like it may be the first Phenom capable of easily breaking the 2.6GHz barrier." how difficult is this when starting from 2500Mhz ?? The Phenom with this performance level is one year too late to compete. It is useful for people who have bet on the m2+ plateform. but how many did ? The model released at 2500 Mhz is very close to the design limits of the stepping (little overclocking room). The Q6600 is not the best chip ever (celeron was, then the XP-mobile, then core2duo 4500), but is is rather good. With some research it was possible to buy the Q6600 B0 just when it came out at a decent price: it was cooler , cheaper, faster than s3 stepping and most motherboard bugs around quads had been solved. The higher fsb of the Q9300 as annouced by Intel could be already seen as limiting the potential easy overclock. Did I need today that my q6600 bench at 3.6 Ghz on air on a GA-p35ds3p with 4 gig of crucial ballistix ? i run it on a daily basis at 3.2 Ghz at nearly stock voltage. The TLB error DOES NOT CAUSE PERFORMANCE LOSS!!!!!!! the PATCH for the TLB error causes a performance hit, but all the TLB error does is cause instability in extremely rare situations involving hardware virtualization (when did you last use that) on multiple cores at the same time. Cant stand it when people overblow this error. Not that it matters anymore, its fixed.